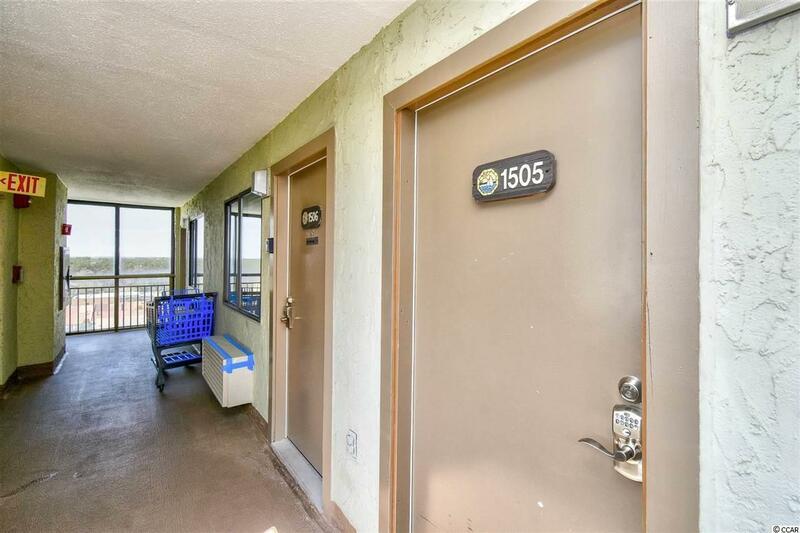 Great ocean views from the 15th floor of this 1 bed/1 bath at Bluewater Resort! 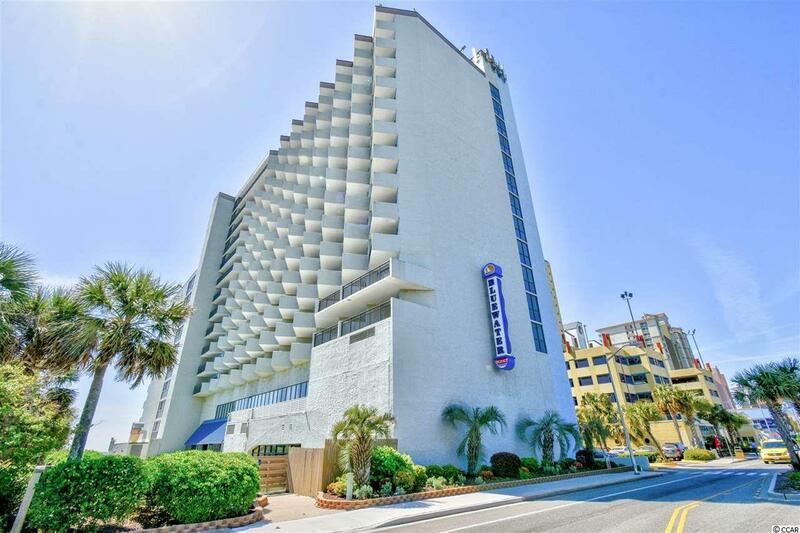 This fully furnished has unit tile throughout and a bright, beachy decor. There is plenty of sleeping room with two beds in the bedroom and a pull out sofa in the living room. A kitchen with stove, microwave, fridge and a dishwasher allows you to prepare your favorite meals in the unit. The living room has a dining area. The bathroom offers a vanity sink, framed mirror and shower/tub combination. On your private balcony, you can enjoy the views of the ocean while you have your morning cocktails or evening coffee. 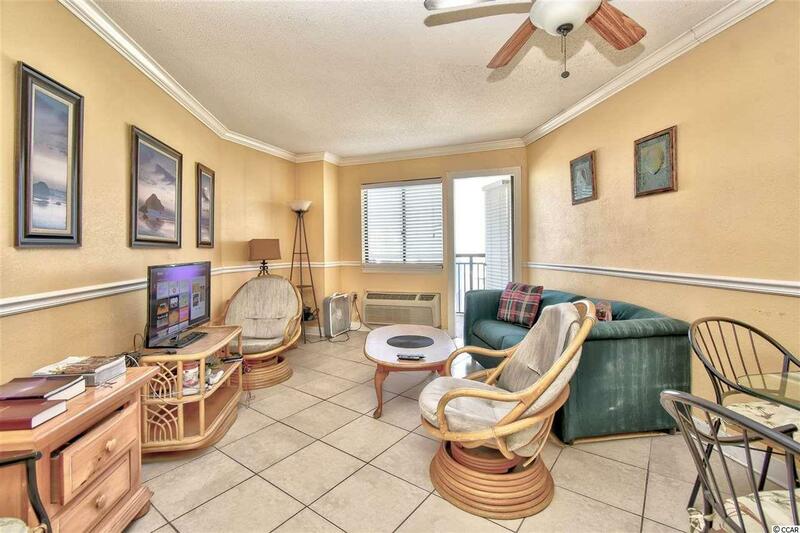 Other features of this unit are chair railing, crown molding and a ceiling fan in the living area. The onsite amenities offer restaurant, game room, indoor/outdoor pools, handball court, hot tub, laundry rooms, game room, and snack bar. Plenty of parking. 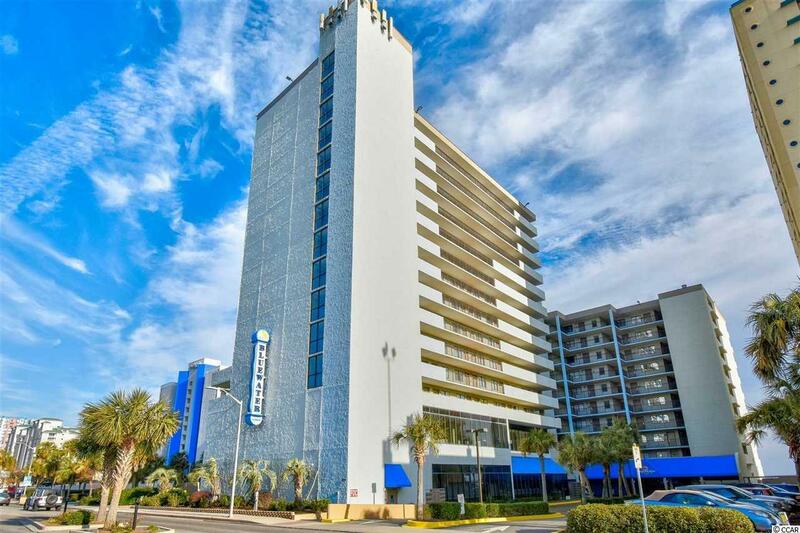 Bluewater Resort is located in the heart of Myrtle Beach and is close to all that the Grand Strand has to offer such as dining, shopping, entertainment, golf, entertainment and experiences that Myrtle Beach has to offer. Whether an investment or your vacation get-away, don't miss this opportunity!